Not only do we carry wedding gowns in multiple sizes, but we carry designer collections specifically designed to highlight and accentuate curves! From Maggie Sottero to Pronovias, we have a selection of gowns for every bride! 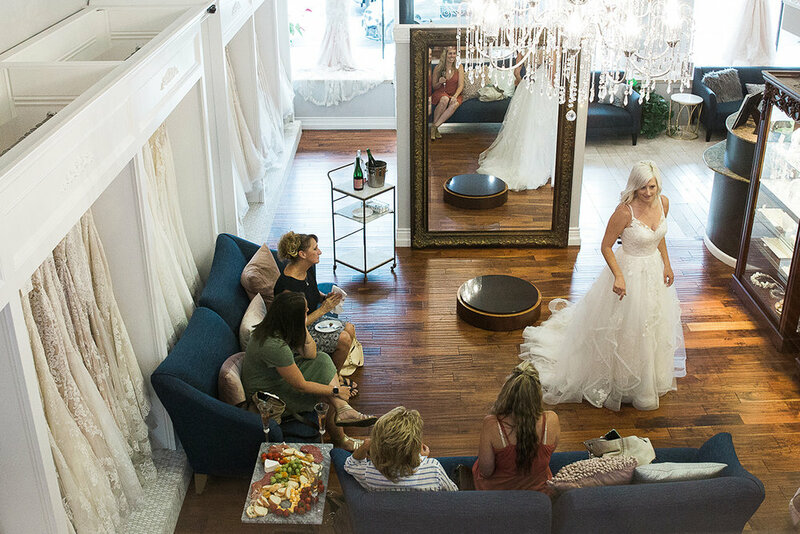 Shopping for your wedding dress should be fun, and at Miosa Bride is actually is! We offer a variety of designers and sizes, exceptional value and most importantly, personalized attention from our bridal stylists. We believer that the private boutique experience should be accessible to ever bride. We style brides of all sizes from 14 to 32 and deliver an exceptional bridal experience to all of our guests! We’re happy to offer modern, chic wedding gowns for the curvy bride. Located in downtown Sacramento, our wedding salon houses 30+ gown collections and over 1300 designer wedding dresses! Below is a sampling of our featured plus size collections. If you’re looking for a specific gown or designer, don’t hesitate to contact us! Or make an appointment to begin the process of finding your dream dress! Most of our gowns can be ordered up to size 32 and customized to you to ensure proper fit, flare and support! Be sure check out all of the Designers we carry for a preview of more of our amazing gowns. For your private, one-on-one consultation with one of our consultants, visit our boutique! If you’re looking for something extra special for your consultation check out our experience packages below. Looking for a special night out with the ladies? Schedule a private session and have our salon all to yourself with our Miosa VIP experience! Champaign and nibbles included!